Hello lovely readers! It’s Friday yay! 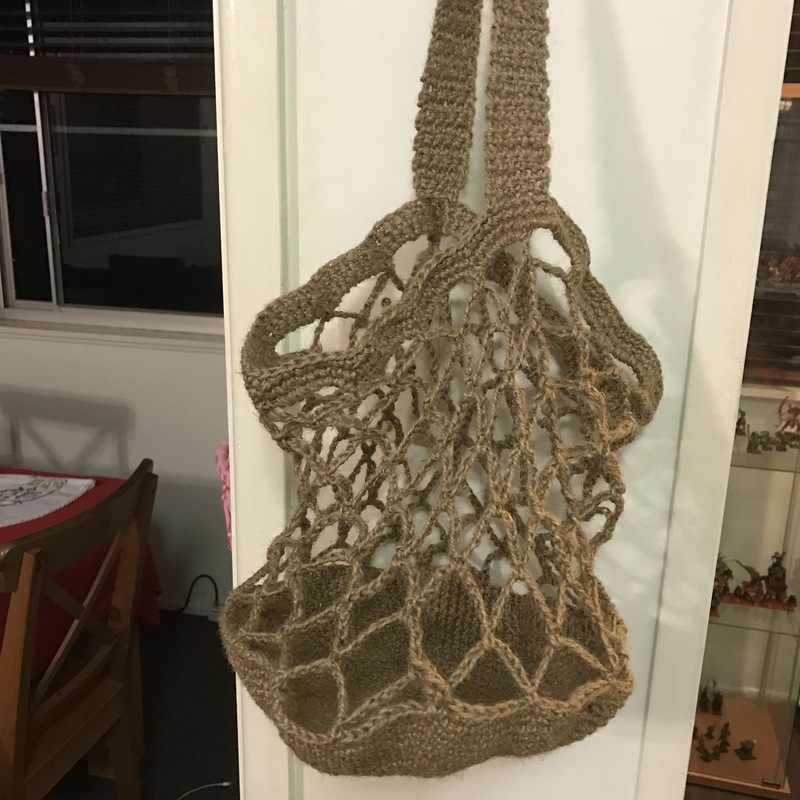 So glad it’s finally the weekend 🙂 this week I’ve worked on a few things (including a new cross stitch design) but mostly I’ve finished my jute bag. 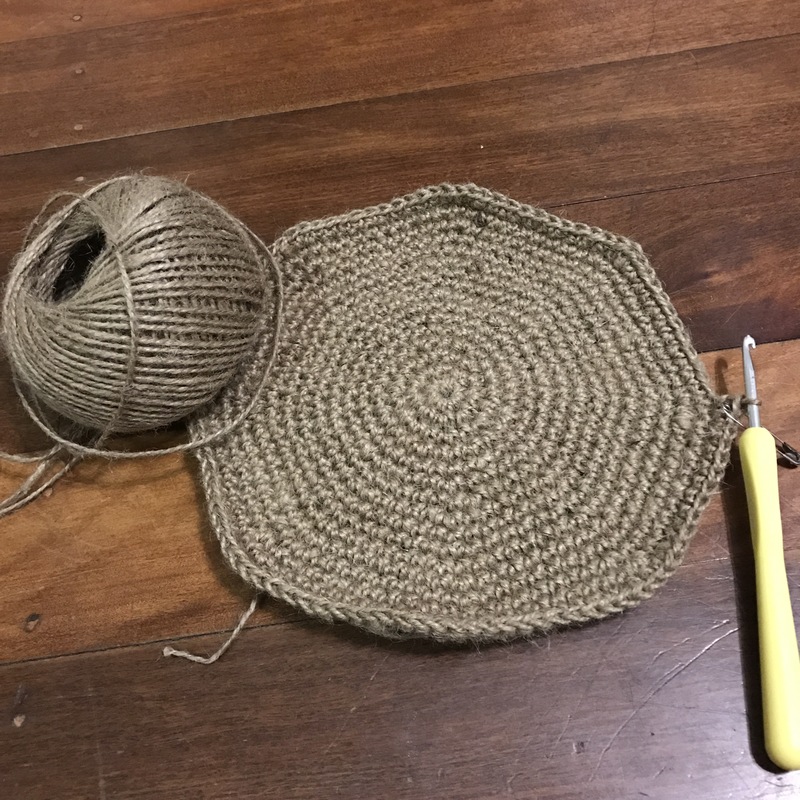 It’s the perfect size to hold all my yarn cakes for Gandalf, and it should also be great to go to the markets 🙂 I’ve made the handle straight from the main body of the bag, so that I only had to sew one side of it. Hopefully that will make the bag really sturdy and I should be able to carry heavy things in there without a problem. 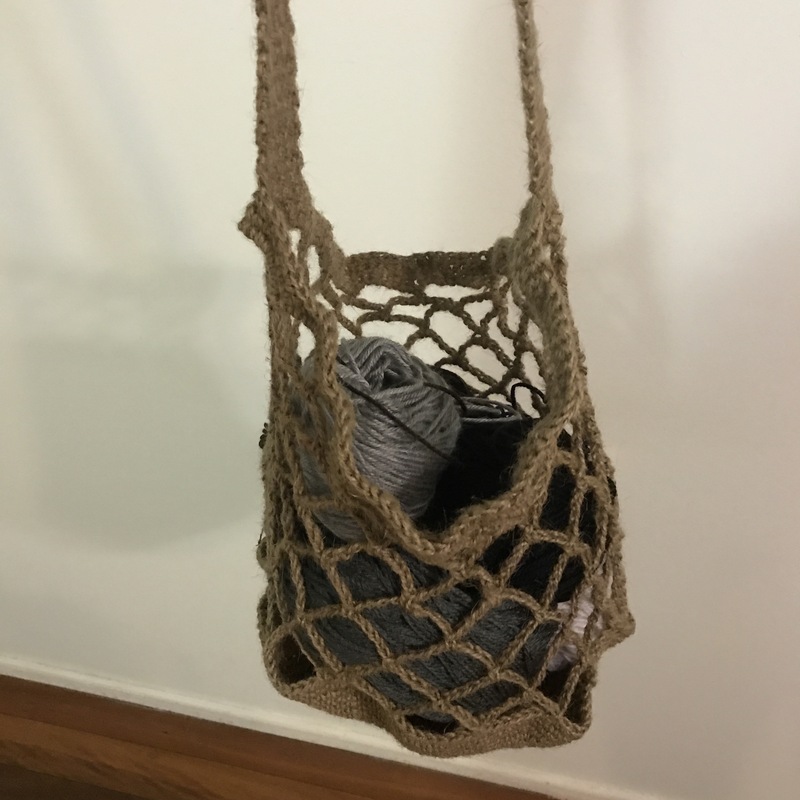 I based this bag mainly on PurlSoho’s pattern but I did modify it quite a bit because the jute I used was way thicker than the recommended linen yarn.